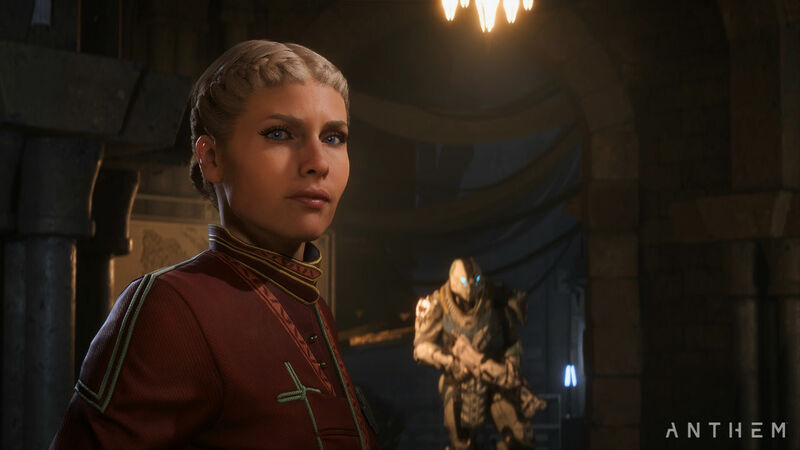 BioWare unveiled a new Anthem trailer at tonight's The Game Awards which gives an even deeper look into the story and lore of BioWare's new world. We've seen a lot of Anthem since its debut at E3 2017, but much of the gameplay and marketing focus has been on the cool suits of armor players fly in (called Javelins) and the live-service aspects of the game. We dove deep into how BioWare plans on supporting Anthem post-launch in an interview (think live events and teasers a la Fortnite). Tonight's Game Awards trailer delved deeper into the overall story of Anthem's world including new faces and potential new threats. We got a chance to hear BioWare talk about tonight's new Anthem news before the awards and found out more about the lore, which I have to admit is more intriguing the more I learn about it. While the Anthem of Creation, the game's core mythic narrative device, is still byzantine (it's the most important story device in Anthem) the cast of characters and factions add some new flavor and depth to Anthem's cool robots. We know players take on the role of a Freelancer, but it turns out the Freelancers are a larger, de-centralized coalition of characters and just one faction in the world of Fort Tarsis. 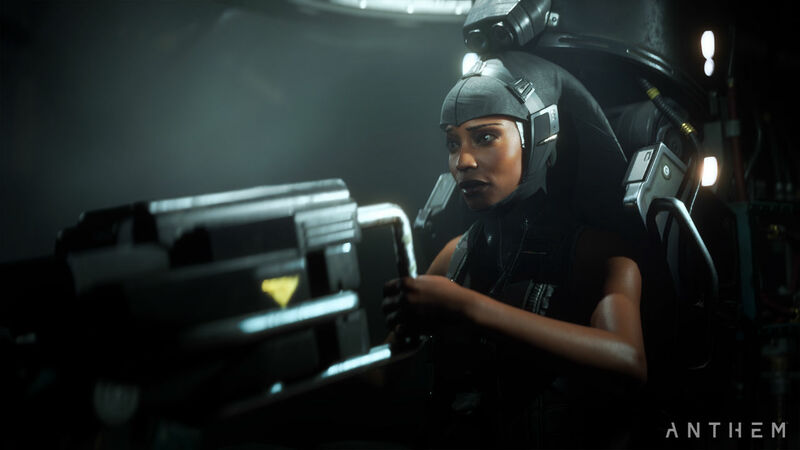 The player's Freelancer has their own support team including mechanics and radio personnel called "Cyphers." There are two Cyphers, Faye and Owen each with their own unique personalities. There are also semi-allied factions which we don't know too much about. One faction are the Sentinels who serve as a kind of "police" force in Fort Tarsis and introduced with the character Brin. There's also a spy contingent though they are shrouded in secrecy. The good guys are only matched by their bad guys and in Anthem that "bad guy" (it's still not clear to be honest) is someone called "The Monitor" who leads their own faction and controls their own Javelins. They apparently believe in correcting the world through force, which sounds nice and all except for the whole "by force" thing. BioWare is gearing up a closed beta for customers who pre-order Anthem on January 25 to 27, and there will be an open demo on February 1 to 3. Check out our Anthem guide for more details, videos, and news. Tagged with Bioware,	Electronic Arts,	News,	PC,	PlayStation 4,	Xbox One.